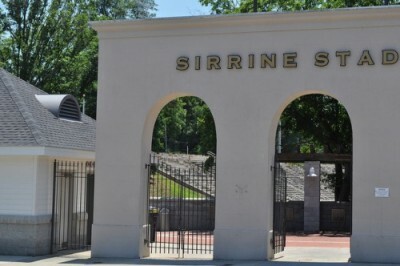 As Chairman of the Medical section, Dr. Lawson was involved in the purchase of Sirrine Stadium from Furman University for its use by Greenville High School and The School District of Greenville County. He was chairman of the Steering Committee for the $1.7 million renovation and was a major contributor from 2000-2002. Dr. Lawson completed this 1983 leadership training sponsored by the Greenville Chamber of Commerce. Dr. Lawson served on the board from 1984 – 1987, working on the architectural integrity of the Hampton Pinkney Historic District in downtown Greenville. Dr. Lawson served as board chairman from 1990-1993, helping initiate the expansion of Goodwill stores. Dr. Lawson has served on the board since 1983 and is a past president. He raised the original $200,000 from the medical community as seed funding for the Center’s Hall of Science and developed the concept of science carts for elementary schools. Piedmont Arthritis Clinic was a major contributor to the planetarium projector upgrade, is an annual corporate sponsor, and an annual sponsor of the Roper Mountain Holiday Lights. Dr. Lawson played a pivotal role in helping to secure the necessary grant money to fund the 21st Century Community Learning Center. The Center’s purpose is to provide instruction and enrichment activities for at-risk students from Thomas E. Kerns Elementary and East North Street Academy. A board member from 1990-1997, Dr. Lawson also is a past president of the River Place Festival – the predecessor of Artisphere. He was instrumental in initiating the expansion of the annual arts festival into Greenville’s West End. Piedmont Arthritis Clinic has been a major supporter of the museum since 1985. Dr. Lawson is a founding member of the Collector Group with 87 pieces of art attributed to his efforts. Dr. Lawson has served as a board member since 2007. Dr. Lawson served as chairman of United Way’s Medical Division fund raising in 1991 and 1996, and served as a Palmetto Society board member from 1991 until 2002. Dr. Lawson has been an All Sports Booster Club Member since 1990, serving as President in 1991, 1994 and 1997-2000. He developed the All Sports Booster Club concept to help fund 32 sports teams at the high school. Additionally, Dr. Lawson developed the concept of the school’s All Arts Booster Club and has been a club member since 2004. Piedmont Arthritis Clinic is annual major contributor to the All Sports and All Arts Booster Clubs. Dr. Lawson was an advisory board member from 2006-2010, and co-chaired the Docs for Pops Fourth of July Concert from 2005-2007. Dr. Johnson has served as a board member and past president.